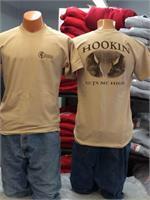 100% cotton Made in the USA Short sleeve Light brown Shirt. 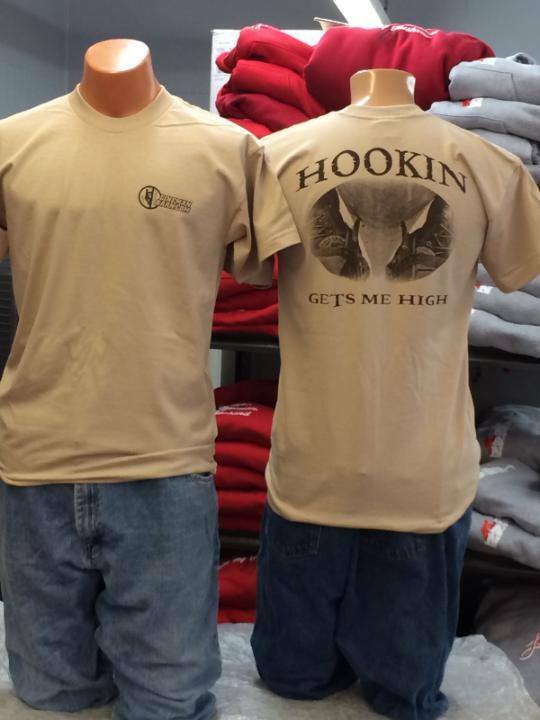 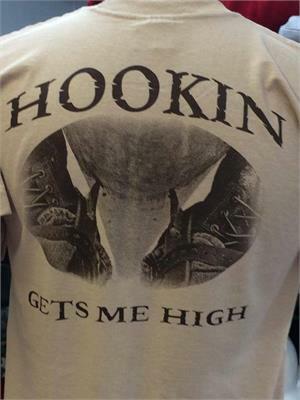 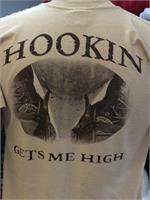 Full back print- HOOKIN GETS ME HIGH. 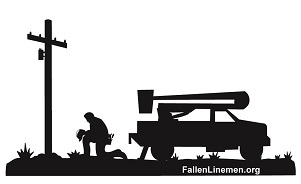 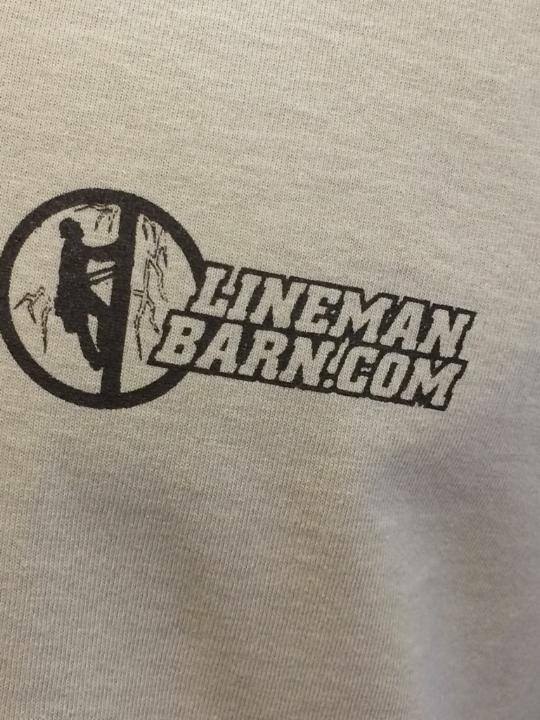 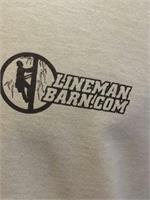 For the lineman addicted to climbing.